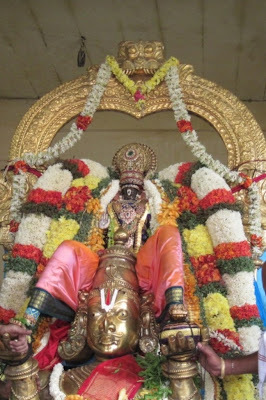 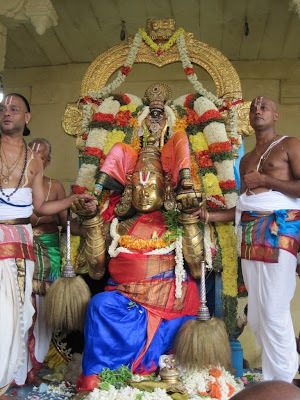 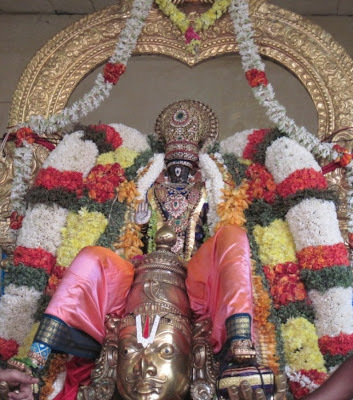 6th May 2012 -- today is the Third day of Uthsvam – the famous Garuda Seva. Hundreds of devotees gathered at 0530 in the morning to have darshan at Gopura vasal – i.e., Perumal coming out of the main entrance of the temple atop Garuda azhwar. 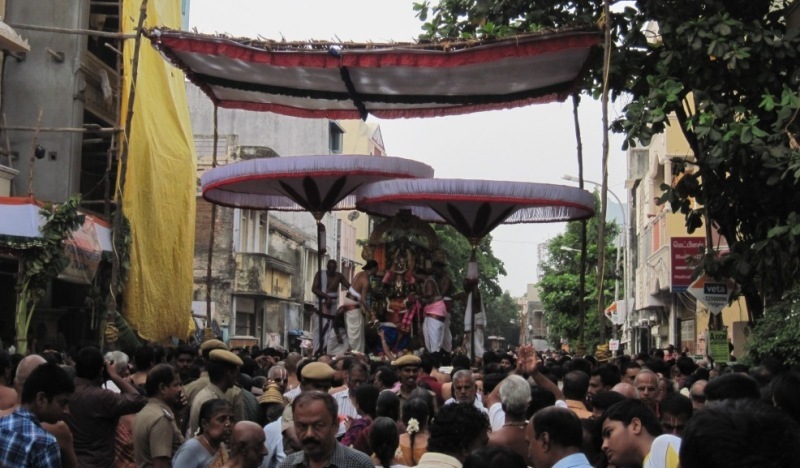 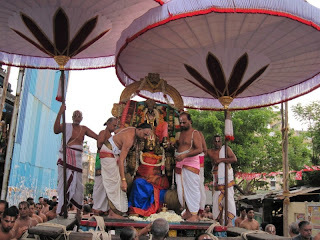 At TP Kovil Street, there was the grand Oyyali [aesal] and Perumal had rest at Gangai Kondan Mantapam – the return purappadu started at around 0900 am and ended around 11.15 am.